New York has a real subway. Seems like anywhere I want to go is walking distance from a station. There are 421 of them, so it figures they're close to almost anywhere along its 656 miles of tracks in four boroughs. 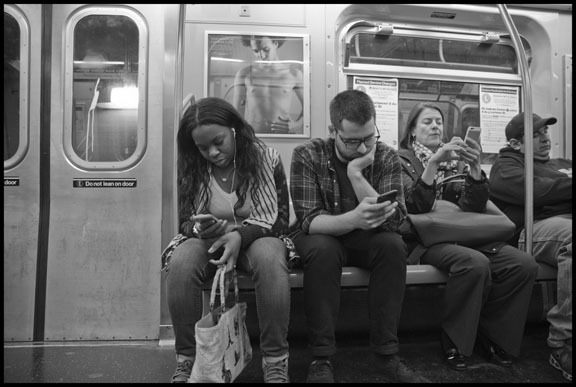 The great thing about the subway is the people. 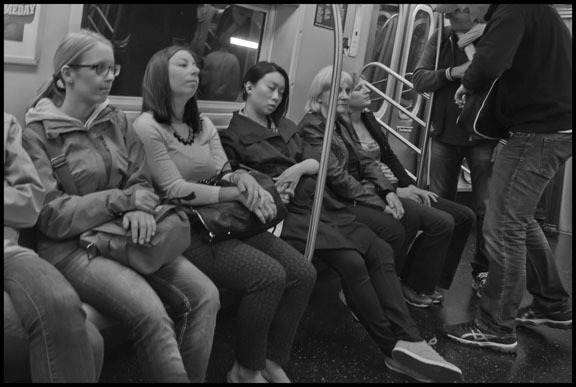 New York is so diverse - it feels like you're seeing people from everyplace on earth in just a few subway cars. I see people tired from work, having trouble keeping their eyes open, or sometimes just asleep. 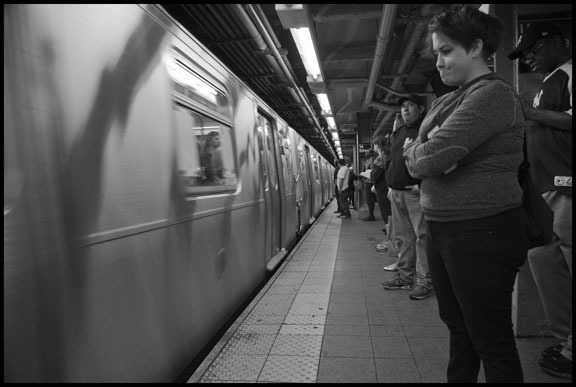 When I go to New York I ride the subway. I'm an Oakland boy, and we have our BART. But that's not a real subway, even when it goes under the Bay or Market Street. New York has a real subway. It always seems like anywhere I want to go is walking distance from a station. There are 421 of them, so it figures they're close to almost anywhere along its 656 miles of tracks in four boroughs. The subway is kind of old, that's true. The first station opened in 1904. It makes a lot of noise - not like the subway in Mexico City, which runs on rubber wheels. 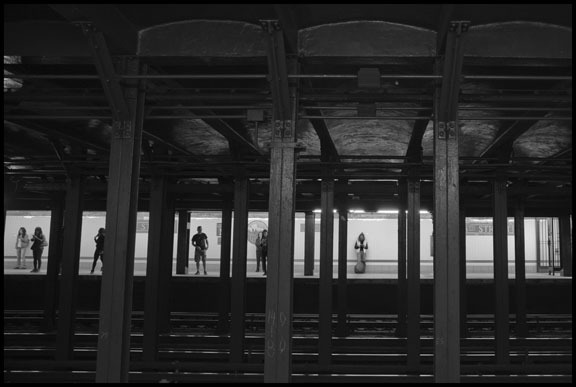 When the train comes into the station, pushing a wall of air before it, a deafening roar bounces off the concrete and tiles. It's hard to talk in most of the cars, although some people don't seem to notice. Even when it's cold outside, the cars can be sweltering, and the seats are hard - not like BART. But the great thing about the subway is the people. 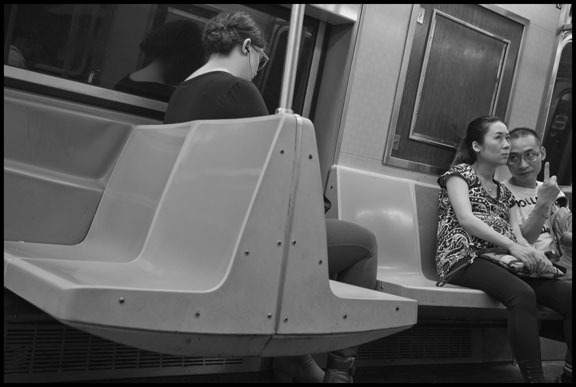 New York is so diverse - it feels like you're seeing people from everyplace on earth in just a few subway cars. People who aren't from New York make a big deal about how dangerous it is. But I don't see it. I see people tired from work, having trouble keeping their eyes open, or sometimes just asleep. I wonder how they know when to wake up so they don't overshoot their stop. People read newspapers and talk to each other in a dozen languages. When there aren't too many people, they spread out across the seats. Mothers and fathers hold their children. Lovers lean into each other while everyone else just looks away. And looking away is so religiously observed that when someone actually meets your eyes it feels rare and strange. 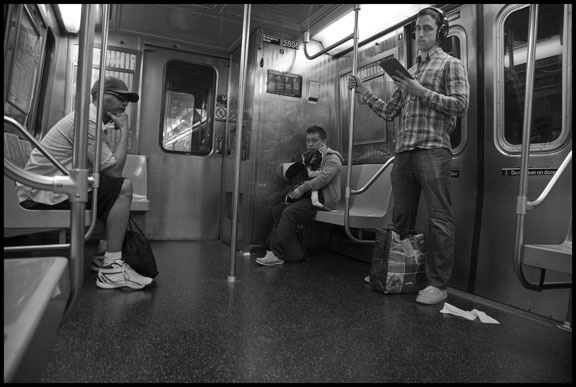 After 9/11 the police tried to forbid taking photographs in the subway. Luckily for me, they were overruled. 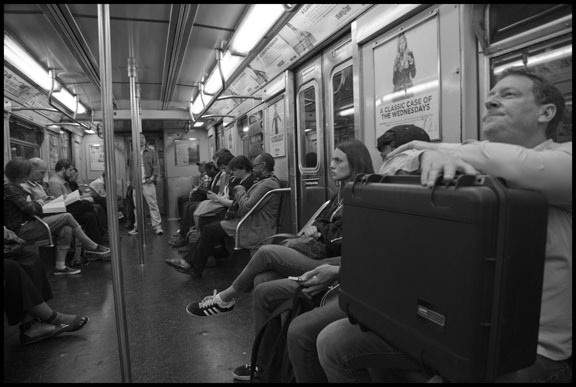 These photographs are the result, my love letter to the subway. The Real News: Does Obama's Support of TPP Contradict his Immigration Policy?